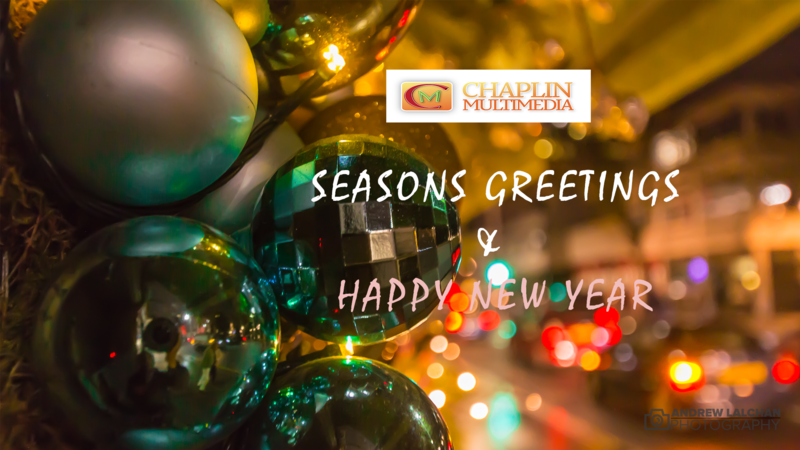 Best wishes and a Merry Christmas from everyone at Chaplin Multimedia Ltd.
Hope you all have a relaxing holiday and come back all refreshed for 2018. Look out for our new website in January and a new admin system in early 2018. We will also be publishing a monthly newsletter starting in January together with a new YouTube channel which will have lots of tips on keeping your website fresh and utilising social media to get more sales. We will be closing the office at 1pm on the 20th December until 10am on Tuesday 2nd January 2018. Any emergency problems can be emailed to Andrew@chaplinmultimedia.co.uk during the holidays. Thank you once again for your support over the past year and I wish you all the best for 2018!